Stamping Stuff: more Blog Candy! Just in case you didn't get enough yesterday you need to hop quickly to get in on this one! Hannes kreative krumspring is offering up some great blog candy. Several catagories including some stamped images from hÄnglar & stÄnglar. These are adorable images! So go and join in if you can. 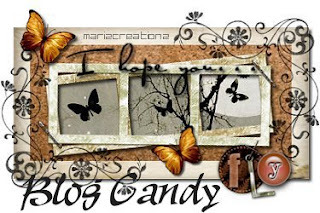 Thanks a lot, Karyn, for joining my blog candy!